Scan one frame of 6x9 film with this 6x9 Flextight Original Holder from Hasselblad. This holder is designed specifically for the Flextight Photo and Flextight 343 scanners and will work with unmounted transparencies and negatives. Additionally, it has a scan area of 57 x 90 mm. 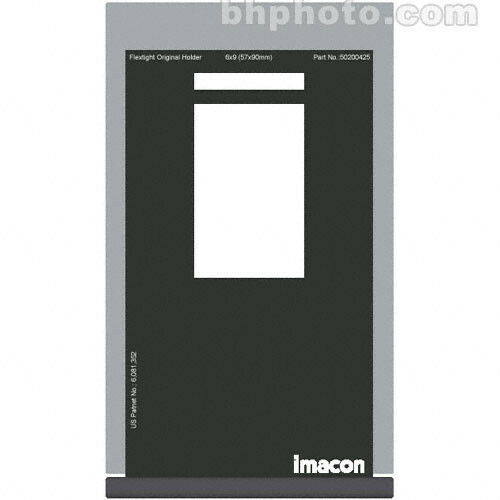 Box Dimensions (LxWxH) 10.3 x 6.0 x 0.05"
6x9 Flextight Original Holder for Photo & 343 Scanners is rated 5.0 out of 5 by 1. Rated 5 out of 5 by Martin from It works great It works just as it said it would, was easy to add to my workflow.